To date Dot has been shown 4 times. 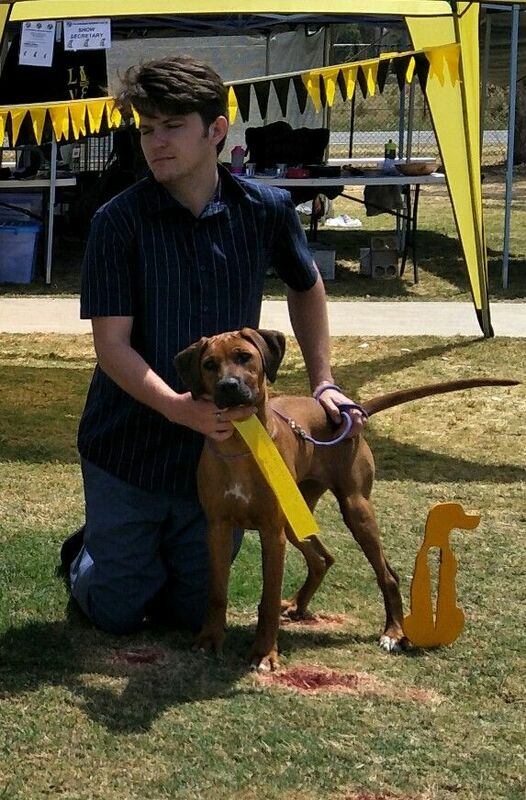 At her first show she placed 3rd in baby puppy at the ridgeback specialty. 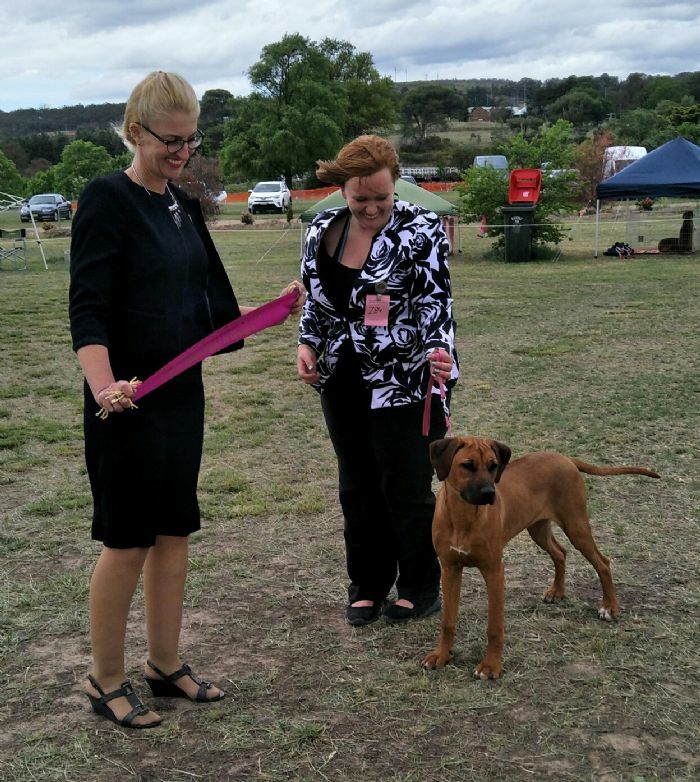 At her first show as a minor puppy (6 months and 7 days old) she won an 11 point Best of Breed and minor puppy in group under hound specialist Eric Soti from South Australia. Later that afternoon she achieved another 11 points and runner up best of breed under breed specialist Cheryl Currie and went on to her second minor puppy in group. 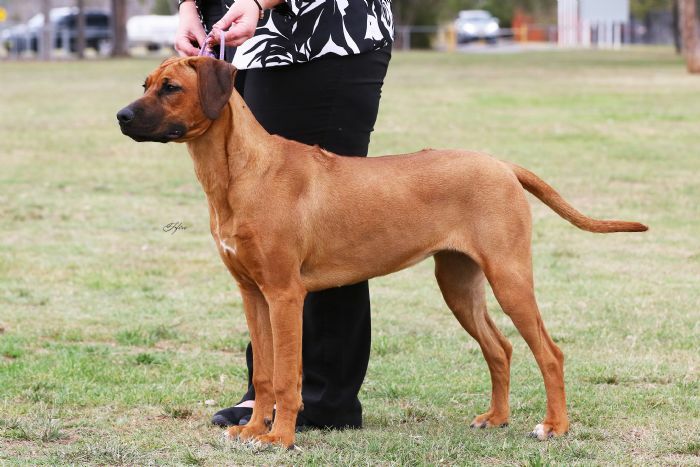 At her next show she achieved a 14 point best of breed.